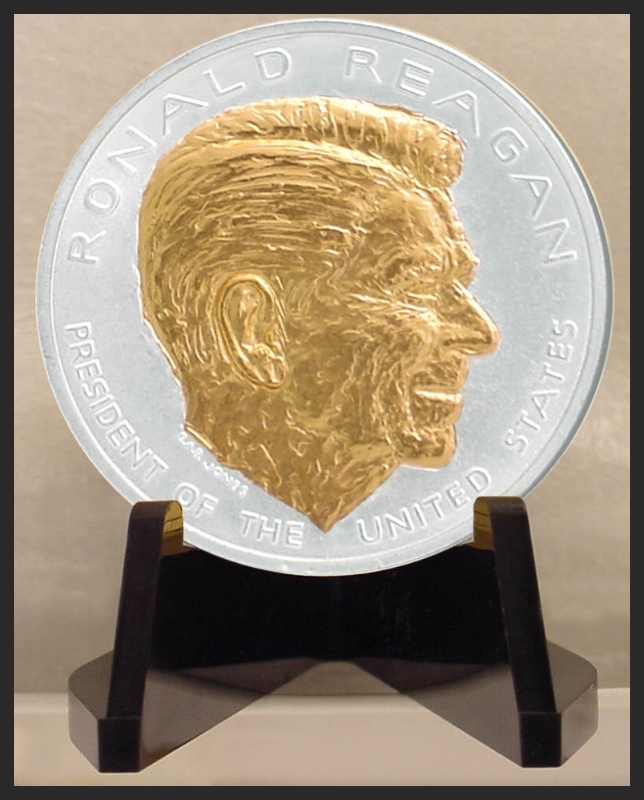 An elegant tribute to the most iconic leader of the late 20th century, this US Mint presidential medal commemorates the inauguration of Ronald Reagan, 40th President of the United States. 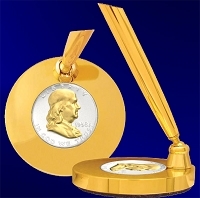 Enhanced with 24kt gold and pure silver. Black acrylic display stand, air tight container and presentation box. Lifetime warranty against defect.